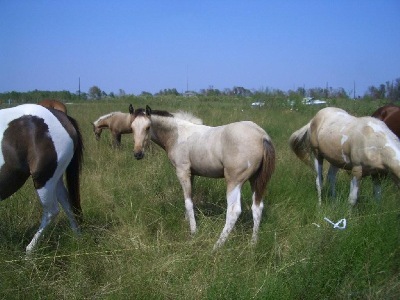 Ranch Raised Foals DEPOSITS ACCEPTED! RESERVE YOURS NOW! 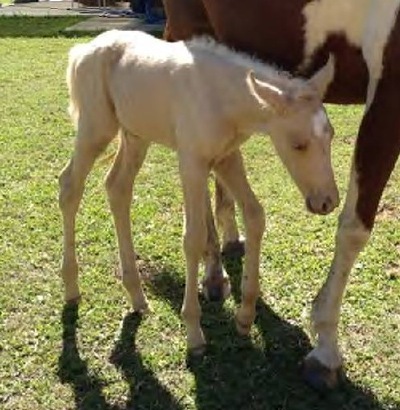 ~For Current available prospects go to Bottom of Page* OUR 2019 Foals are on the GROUND, accepting deposits ! 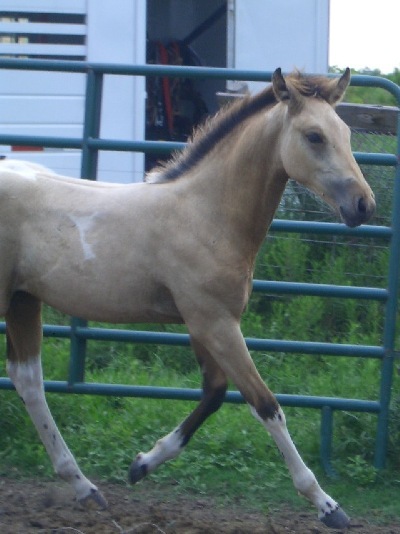 # stud colts, 2 Palomino, 1 Tobiano Palomino BULIT cannot say enough about these colts I have a Buckskin 2016, and a Palomino 2017 filly available. Please email I can send photos! Im creating this page, if it seems incomplete, it is, always working on improving. After years of loving horses, I finally had my very own in 1976, I won a few Ribbons and Trophies in Idaho at local 4-H, FFA Shows. Ive done Cutting, Endurance Trailriding Halter, Barrels and won Grand Champion Gelding of the Bonner County Fair, 1981! Ive had a chance to have some Great mentors, learning everything anyone would teach me, met some of the greats in horses. 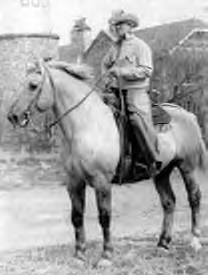 My Uncle Tubby only had AQHA and taught me all about Foundation Quarter Horse Bloodlines, genetics, and why I didnt want a Paint horse, we had some big debates, when I found a Quarterhorse Cropout, he was OK with it, long as that Back line is AQHA. I was whispering to horses before the book was wrote! 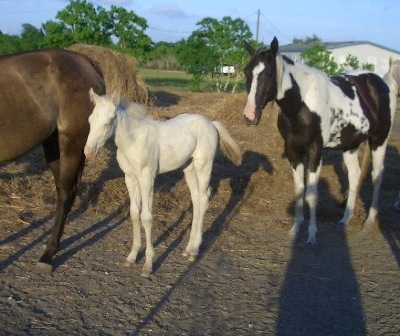 The first Registered AQHA I owned was in Texas a 1987 model "SHY AS GLASS" we ran Barrels, she had my first colt born in 1992, Showed at the Houston Livestock Show and Rodeo in the Astrodome. 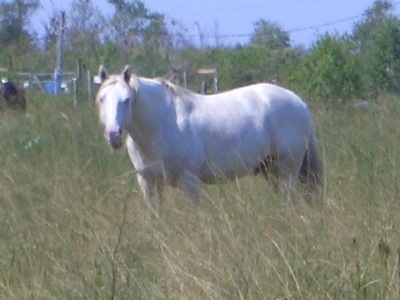 1995 Won Jr.Cutting Reserve Champion- in 1997 I fulfilled a dream and compeated in the NRHA Reining Futurity with APHA Cremello "Dox Silver Bullet". Now we breed a few Quality Foals each year, working hard to produce some horses my Uncle would be proud of. 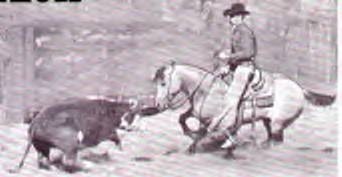 Real using horses Temperament that my children can be around level headed and beautiful with Speed and Intelligence to watch a cow or a Barrel, Catlike agility, Natural leads excellent prospects. 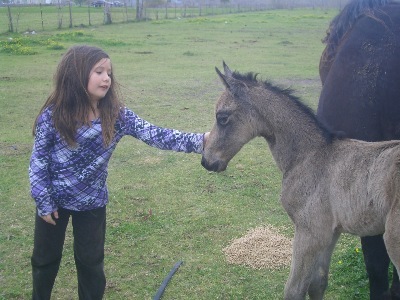 I try very hard to let my foals experience as much as possible while being raised here at the ranch. but 'Prepare them' for life. While enjoying them grow. "This is the smartest horse I've ever owned." "You just show him something once... and he picks it right up"
"She seems to adapt to whatever comes her way". These are the kinds of comments that make me believe that raising the foals the "Ranch Way" sure has its benefits. and I find myself explaining my reasons for my methods, which are tried and true thruout history, and personally by me for 35 + years, so I decided to build a page on my site to explain it all....we imprint at birth, petting and loving them, then we watch them develop. Wanting the best looking horses with an attitude to take you any direction you want to go. Yes, these are Quarter Horses with that extra WOW to get you noticed, everywhere! 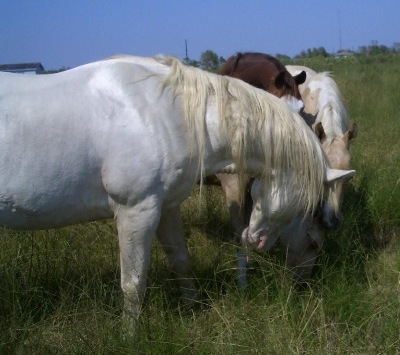 The Broodmares live in a herd with our Stallion out in pastures most of the year. This is his herd, the way nature intended. They are brought up to the corral for worming or weaning of foals, of course we see them daily that is why we raise them to enjoy seeing them grow. The Stallion plays an important role raising the foals, can teach more in hours than we can in months, he is a very good role model. Mares are out in pastures with their foals, and the Stallion, he will Pasture breed ALL his mares. They of course are fed and have shelter as they wish. When it comes weaning time, he will baby sit the kids, protecting them and reassuring them everything is fine mom is just taking a well deserved break, how nature intended. Sadly Ranch Raising is an art lost in time. Dogs and kids play on round bales of Hay. 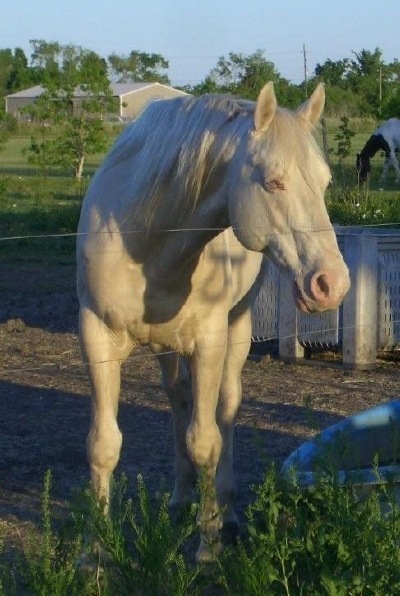 We only have a couple of Ranch Hands, they work hard with the help of our Stallion "Mr. Hollywood Gold" aka SCOUT, you can see he has incredible disposition, that he passes on to all his foals. Most of our foals are born in March, April and May. This is usually a time that is past the severe muddy winter weather, and before the blistering summer heat arrives. 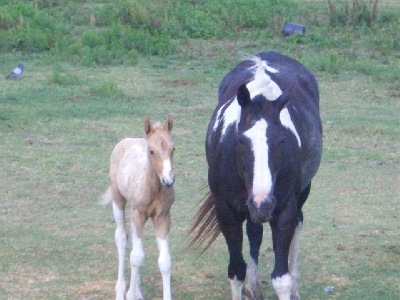 My broodmares foal out in the pastures with the watch of the herd, unless they decide to come into the barn. 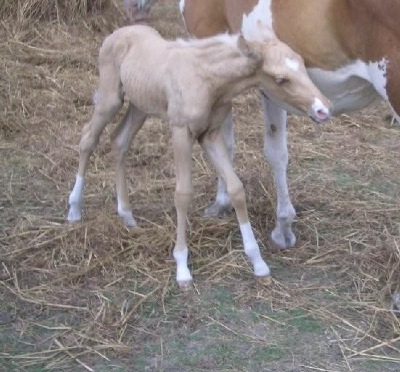 Pastures are the cleanest, safest place for them to foal. 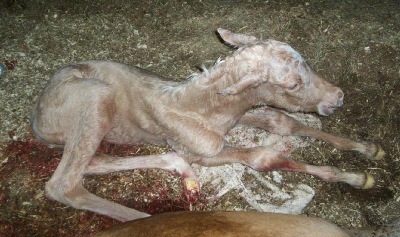 I seldom catch a glimpse of a foal being born, but once in a blue moon I get lucky. 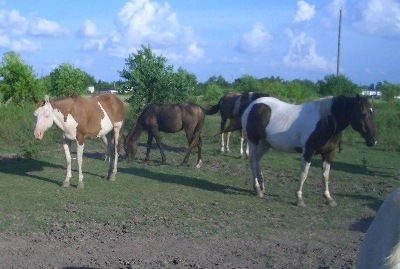 Broodmares and Foals live outside most of the time. Not locked up in heated or air-conditioned barns. I don't believe in keeping foals locked up in stalls. 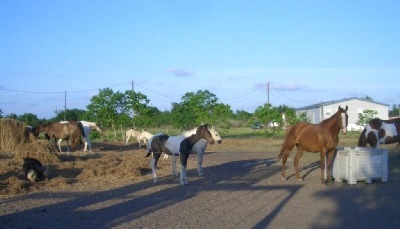 Horses are better off outside with fresh air and clean environment and plenty of room to exercise. GOD designed them to live outside, get a bath when it rains, grow winter hair when it's cold, and be smart enough to turn his rear to a strong wind. One of my main goals is that my Ranch Raised Foals learn how to THINK. See that ear listening to me. 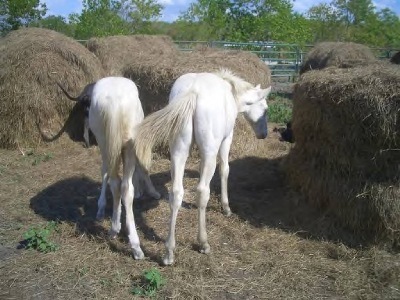 It's important for foals to have lots of room to run and play. This not only helps with coordination and confidence... it also helps with being sure-footed, and helps build stamina, and strength, along with speed and athleticism. Giving them Natural cat-like movement, ready to watch a barrel or a cow. 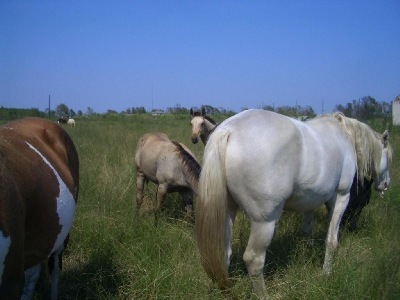 They learn to make good choices, and stay safe out in large pastures, with other horses in the herd. They learn to follow their dams grazing and traveling back and forth trusting people starting on the first day of their life. First Bath My Foals spend most of their days playing with other foals, they experience other things, we imprint at birth, they will have a halter on and start leading going thru a modified obstical course used by in hand trainers, In the summer time they often enjoy a cool bath, so they have a great start before they come to you. I feed twice a day, and sometimes I load the truck with hay and feed and drive up and down the fenceline to feed. Not to mention the adjoing property have 4 wheelers and Trucks playing in the mud, with people constantly in there view, This is a great way for foals to be comfortable with all kinds and sizes of vehicles they may experience in life. 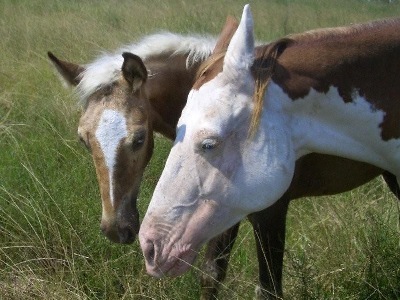 The Broodmares and Foals drink from Ponds while dogs play right next to them out in the pastures. 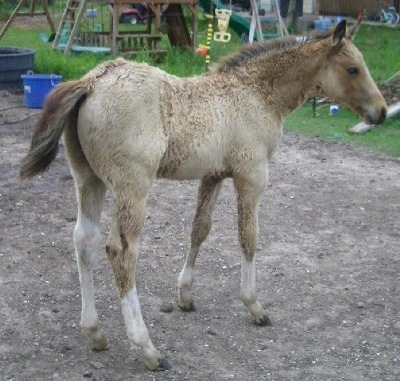 These foals learn to walk through Water...Learn to keep their footing in the mud...and, Learn to navigate Rocks, and Uneven ground. Ponying them with there Momma, is something we try to do early on, Making them ready to go any direction when its time for them to get a job. These are skills that will help prepare them for being a 'Sure-Footed' and safe riding horse. Ponds are also a great way for my Ranch Raised Foals to never have a fear of water. 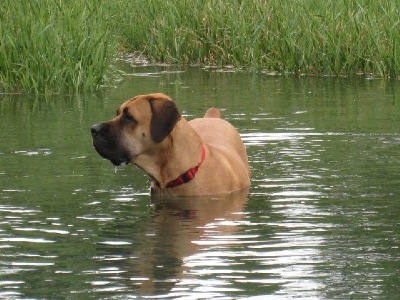 They Play in the water often with dogs and kids. They learn about Barbed Wire too. 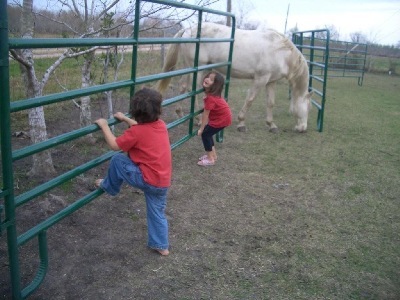 I expose all my foals to 'hot wire' its the fence between our yard and pasture. Which comes in handy down the line complete respect for fences. See the line keeping them all in the area to graze. 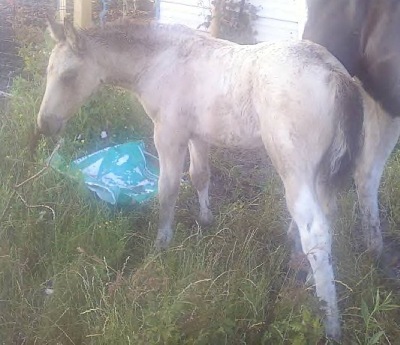 and this is a good opportunity for foals to be exposed to life, by weaning they know how to lead, some dont care for the process, but we are gentle and in know time, they let you do most anything. 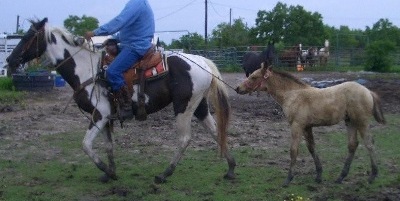 Couldn't resist putting the kid saddle on the baby, he didnt care, complete trust. We worm all our babies regularly until they leave, they have had there feet picked up, a halter on, and will walk up to you, they respect people and have no fear making them the perfect prospects. Incredible Attitude, Working Ability and Conformation passed on to all his foals. Booked FULL FOR 2019 Breeding Season, HOLLYWOOD GOLD FOALS ARE WORTH THE WAIT. 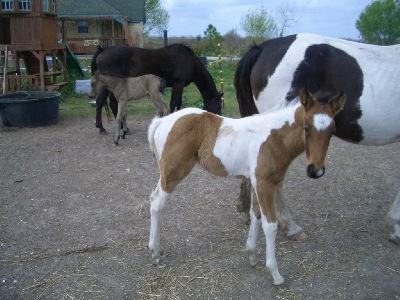 CHECK OUT HIS AVAILABLE FOALS BELOW, OWN ONE NOW!! Stallion BOOKED FULL FOR 2019 Breeding season! COLTS & Fillies from our mares NOW available! Deposit holds. EMAIL FOR PHOTOS INFO On available babies. 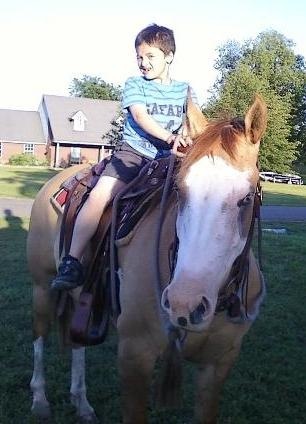 There could be no other choice for our program, we purchased him as a 3 yr old he can work a cow, both cutting and roping. 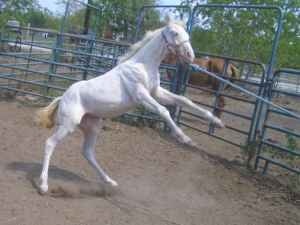 This was before AQHA recognized the Cremello color, rule 227i www.doubledilute.com He had to be Registered with American Paint Horse Association, although he has only Foundation Quarter Horse Bloodlines, ALL his colts get to be APHA Registered, Because of his Cremello Color which is now becoming so popular, because he produces only Palomino and Buckskins. 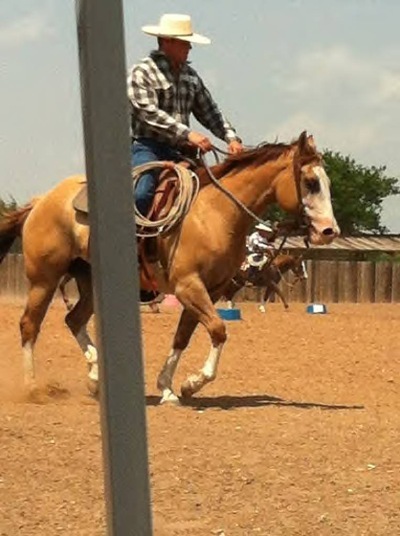 He is ALL Quarter Horse, Registered with APHA. Bred by Gerald and Viola Timberlake in Lincoln Missouri. 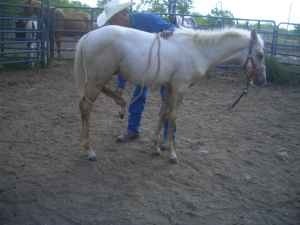 I have the original AQHA breeder certificate, he has all his DNA on file. With a pedigree nobody can deny!! Our Stallion MR HOLLYWOOD GOLD We have owned him over a Decade producing a few outstanding foals each year. We are familiar with shipping and transport. SORRY FOR THE 2019 BREEDING SEASON WE ARE BOOKED FULL. SORRY WE ARE BOOKED FULL FOR 2017 BREEDING SEASON, ACCEPTING Select mares FOR 2020, RESERVE YOURS NOW! 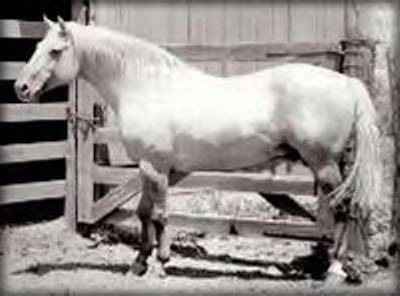 http://www.allbreedpedigree.com/mr+hollywood+gold He carries on the Hollywood Gold legacy, with Hollywood Gold on the Top and Bottom of his pedigree, you cannot get more foundation foals. 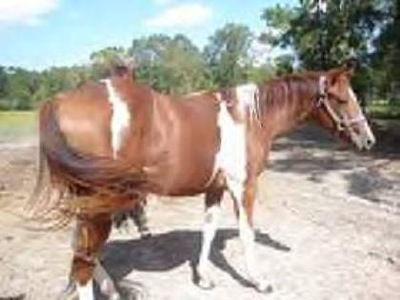 Photo at 20 years old MR HOLLYWOOD GOLD APHA #642998 He is Foundation Quarter horse top and bottom A PEDIGREE THAT JUST WONT STOP click on the all breed link, check it out. 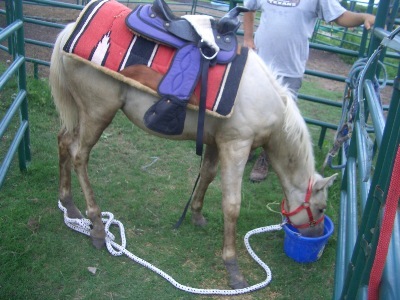 Genetically produces BUCKSKIN and PALOMINO PERLINO CREMELLO Depending of course on mare bred. 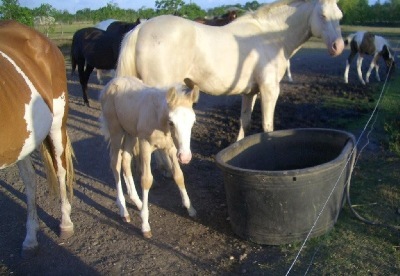 Here is chart AQHA had on site to explain, Breed any mare and get COLOR! "We really didn't know what we had in Hollywood Gold, admitted J.J. Gibson, who spent almost as many years with the Four Sixes as George Humphreys. "I guess we really didn't know how good he was until he was gone, which was 1964. I always called him a palomino. He wasn't tall, maybe 14.2 and weighed somewhat over 1,000 pounds. His eyes are what I rememeber the most about him. They were unbelievably big, pretty and soft. Even mares who still trace to him today have those eyes." With a little bit of luck and a lot of hard work, we have assembled an absolutely incredible herd of mares with Working Foundation AQHA bloodlines. 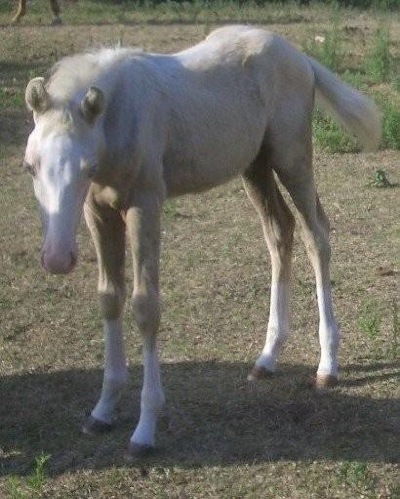 We produce a few quality foals for good people to own. 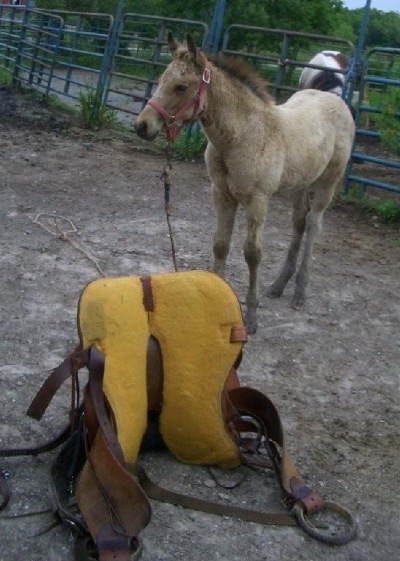 You wont have to sell the kids to buy your next horse. These horses have Money Earning, World Champions, On the papers. Depending on which foal you choose. WHAT A HIP THIS Girl IS PERFECT! $1500 Available as of today! Put your deposit down, dont miss this one. Very correct, natural flying lead changes and he will watch a cow, this guy can take you places. EMAIL purchase of this Colt. TOBIANO MARES IN FOALS corner stones in breeding dreams.